To say that Jackie Robinson was a great baseball player would tell only a fraction of this remarkable man's life story. Indeed, his life ended too soon, but what a story he told. Robinson was a multi-sport athlete at UCLA. He ran track and field and, oh yes, he played baseball. He got the eye of Branch Rickey, an executive with the Brooklyn Dodgers. Rickey decided, against the advice of many of his colleagues, that Major League Baseball was on the wrong side of history regarding the racial makeup of the men who played the game. He wanted to Robinson to blaze a difficult trail by becoming the first African-American to suit up and play hardball in the big leagues. Robinson's big-league baseball debut occurred in 1947. It would be the start of a rocky, tumultuous and hate-filled ride for the young second baseman. Ken Burns, the acclaimed PBS documentary filmmaker, has compiled a two-part series on the life and times of Jackie Robinson. Robinson's story has become the stuff of legend. Indeed, Burns has called Robinson "the most important person" in the history of Major League Baseball. His big-league career wasn't all that long, given that he came to the Dodgers in his late 20s. He managed to win a Most Valuable Player Award in 1949, the same year he won the National League batting title with a .342 average. Think, though, about how one succeeds on the athletic field while suffering insults, threats to his life — and to the lives of his family members. How does someone muster up the courage to continue in the face of such hatred? Robinson did that. He faced down raw racism. He heard taunts no man should have to hear. Robinson was insulted in ways that would have made lesser men cower. Robinson instead stood firm, tall and proud. Robinson's playing career ended in 1956, but that was far from the end of his contribution to our national discussion about race relations. Robinson became a fierce fighter for civil rights. PBS' release on the Burns film notes: "After baseball, he was a widely-read newspaper columnist, divisive political activist and tireless advocate for civil rights, who later struggled to remain relevant as diabetes crippled his body and a new generation of leaders set a more militant course for the civil rights movement." Just a few years ago, Major League Baseball sought to recognize Robinson's contribution to our national life. It found a unique way to do so by retiring his No. 42. The league retired the number Robinson wore on his back, meaning that no team in either the American or National leagues could issue that number to a player. No. 42 is the first number ever to be retired by all of big-league baseball; for that matter, I am pretty sure no other major league sport in North America — that includes hockey, football and basketball — has taken such a key step in recognizing greatness. The diabetes that cripped Jackie Robinson would kill him in 1972. He was just 53 years of age when he died. What a life he lived. What a legacy he leaves behind. 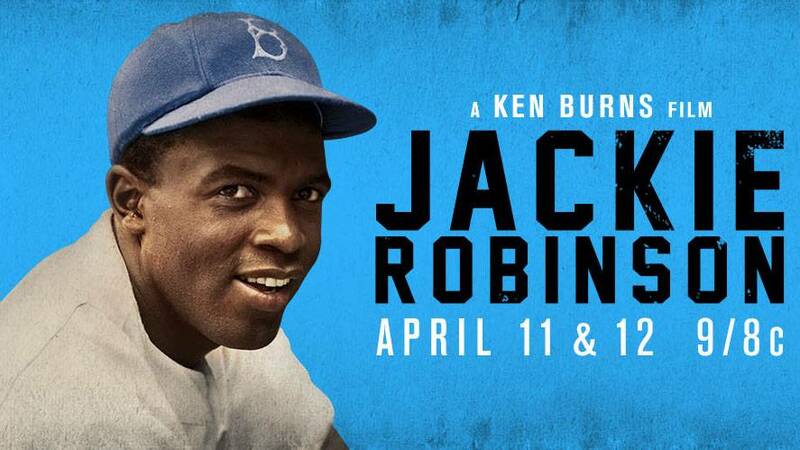 Panhandle PBS will air the Burns' documentary, "Jackie Robinson," on two nights. It will be broadcast at 8 p.m. Monday and Tuesday.